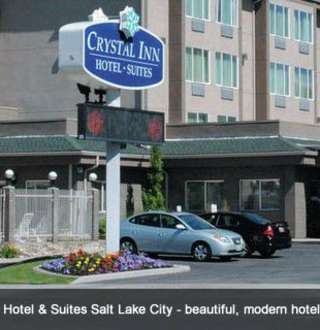 Crystal Inn Hotel & Suites Salt Lake City - beautiful, modern hotel located in the center of downtown. Whether you&apos;re in Salt Lake for business or pleasure, you&apos;ll find hotels and motels conveniently located in the heart of the city, nestled in nearby mountain canyons, and amply scattered across the valley. From 5-diamond luxury hotels and all-suite full-service properties to limited service lodgings with basic, clean economy rooms, Salt Lake has the accommodations you need.